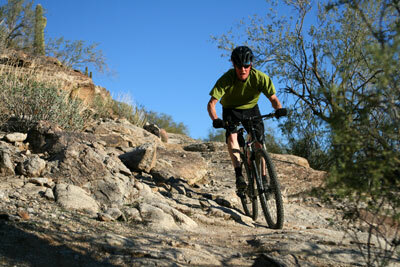 During the summer months at Stratton, there are always plenty of outdoor activities to keep you busy. The snow may melt, but the adventure surely stays! Set out to explore the mountain and surrounding summer scenery by hiking one of the many trails on Stratton. Or, to get in a full body workout while relaxing on the water, rent out kayaks or paddleboards for the day. If you're more interested in courts and courses, the Stratton Golf and Tennis schools will help you learn the game or fine-tune your existing skills. And of course, when the days get too hot, cool off by taking a dip at the Snow Making Pond-- the same water source that creates the snow covering your favorite trails in the winter! Why waste time on the roads or at the gym when you can explore the stunning Green Mountain landscape away from other distractions? Stratton Mountain is home to dozens of trails fit for every mountain biking enthusiast, from novices to trail hardened adrenaline junkies. Fear not if you left your trusty bike at home! The professionals at First Run Ski Shop (located in Stratton Village) are more than happy to set you up with a bicycle and route maps tailored to your specific interests, skills, and style. What does Stratton have in common with Hawaii? 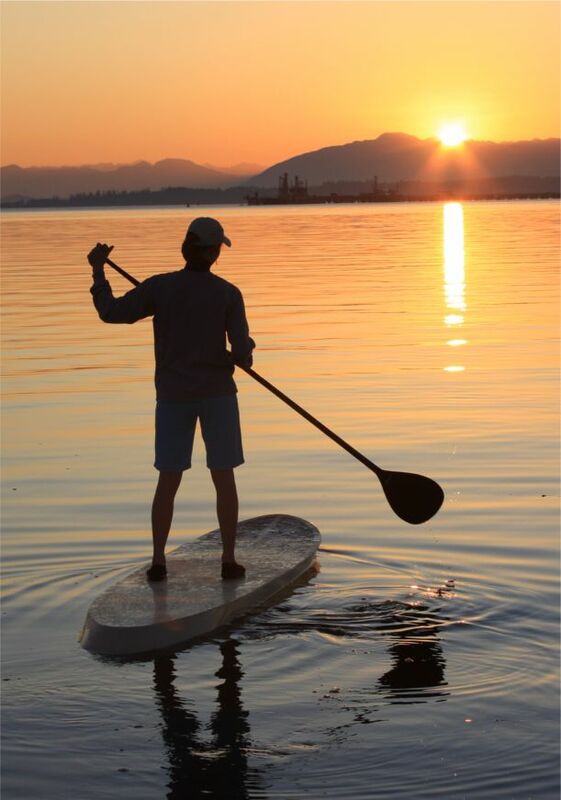 Both have passionate and rapidly expanding stand-up paddleboard communities. For those who haven’t yet had the opportunity to experience paddleboarding, it can be most aptly described as a hybrid of kayaking and surfing. The boards are quite broad (generally around 36”) and long (12’-15’), allowing them to be remarkably stable, even on ocean water, over distances of several miles. The stability of the boards has been highlighted with increasing frequency lately, as paddleboard yoga has gained popularity. Stratton Mountain even offers classes in the mornings on local ponds. This is not to say that paddleboarding is easy—it is quite a workout, particularly for the core muscles that have to constantly compensate for the flowing water beneath. When the paddling aspect is added, the enterprise becomes a true full body workout, while still allowing you to take in the gorgeous Green Mountain scenery all around. The recent surge in temperature makes the days of July and August the ideal time to get your toes wet (so to speak) and experience this new sport. Stratton is famous for its slopes but is equally accomplished on clay. The renowned Drysdale Tennis School, run by the Australian tennis professional Cliff Drysdale, is a world class tennis camp. Instructors cater to all skill levels, groupings, and ages on both indoor hard courts and outdoor clay and har tru courts. The Drysdale Tennis School has been ranked as a top 20 tennis camp in the country by Tennis Resorts Online since 2009, in addition to being named the 10th best tennis resort in the country and the 2nd best resort for families by TENNIS Magazine. Call The Drysdale Tennis School today to participate in the tennis school or reserve a court. Bromley Mountain, just 20 minutes from Stratton Resort, offers summer excitement with their Mountain Adventure Park. 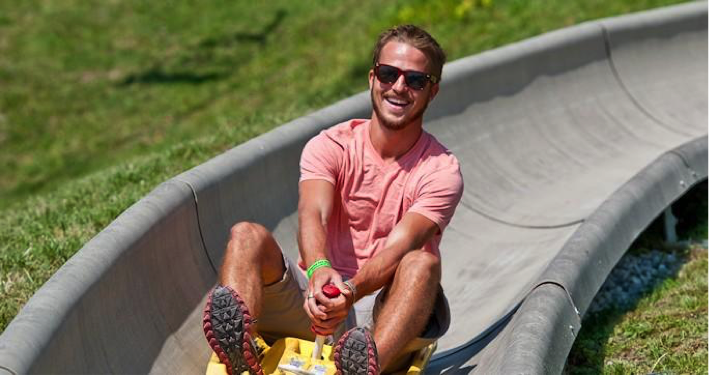 There are a variety of thrilling rides including the longest waterslide in Vermont, climbing walls, zip lines, mini golf, and many more. One of the most exciting attractions is the alpine slide. Feel the wind against your face as you speed down a 2/3-mile track that is reminiscent of a luge track seen in the Olympics. The Stratton Mountain Trail climbs up the back side of Stratton Mountain, ending at the Firetower which has amazing views of the surrounding area. The trail is an intermediate/difficult 7.6 miles that typically takes about 5-6 hours to complete the full loop, or you can hike to the top and pay to take the Gondola down from the station at the summit. Questions about the Stratton area? Contact us! We'd love to hear from you.